Thanks to some great feedback, I realized the neck was too short in my studies. 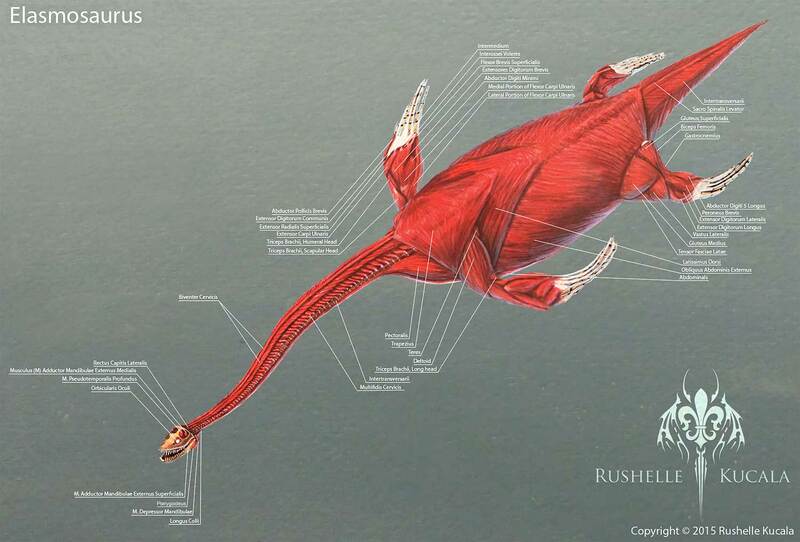 Turns out elasmosaurus necks are about the same length, maybe even longer, than their body. So I made sure in this finished illustration i made the neck more accurate. 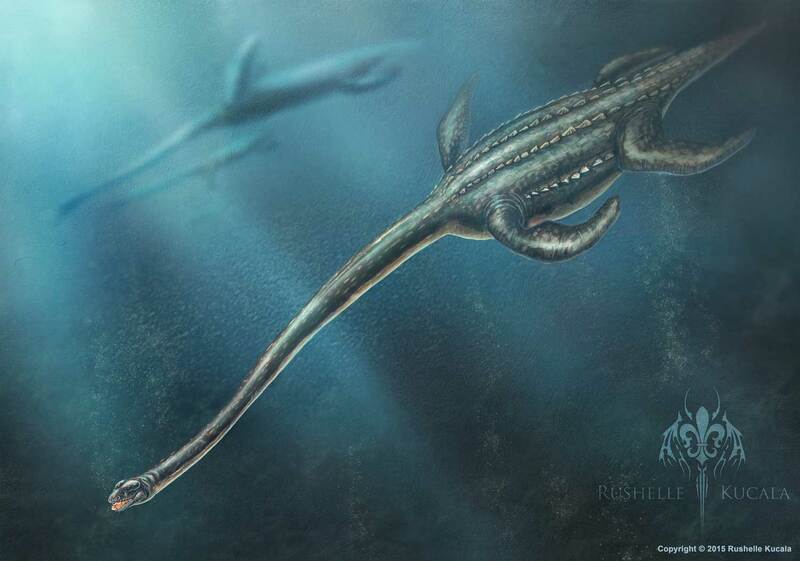 I went with a more pudgy elasmosaurus rather than the usual skinny, skeletal plesiosaur. If you look at most sea animals like walruses, seals, whales, etc. they have blubber. The blubber is used to keep them warm, to store energy, and to help them keep buoyant. 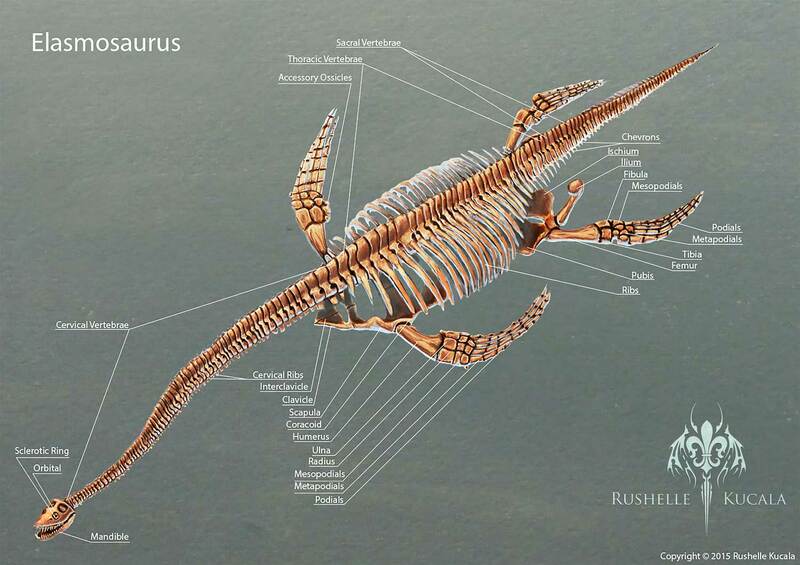 So even though elasmosaurus wasn't a mammal, I'm convinced they would have more fat on them then how they're usually portrayed, sort of like a leatherback sea turtle. As usual, feedback is always welcome. Illustration done in markers, colored pencils, acrylic, and Photoshop.